Featherstone is the ultimate getaway. Its 1 1/2 acres of sandy beach located on a cove-like property is considered to be the most beautiful private beach on the island. Far off the roads and with no direct neighbors on either side, you are surrounded by palm and sea grape trees with nothing in view but sea and sky and with glimpses of the bluff to the East and Little Cayman to the West. Even all the telephone and electrical wires are buried so you feel like you are on your own private little island in the middle of the Caribbean Sea. This beautiful property was built and decorated with loving care and is perfectly maintained by its interior designer owner. Your day begins as you look out your double french doors at the sun rising on the water. In the evening enjoy dinner on your private deck overlooking the sea and your private garden while sunsets light up the sky. At night, lay in a hammock under the palm trees and watch the stars fall from the sky as night turns to day. This is what island living was 50 years ago. Bring your books, your camera, your sweetheart, your stress, and let it all go in this beautiful place. Or, come alone and find how life is meant to be lived. Away from the fast paced atmosphere of an overdeveloped world, Featherstone offers a peace and beauty seldom found in the civilized world. If you love the sounds and smells of the sea, the serenity of sunsets and endless stars at night, Featherstone is your place. This property is so gorgeous that words cannot do it justice so please just come stay with us. Own an executive search firm for the telecom industry as well as an Interior Design company in the islands. Adore my guests - every single one of them but honor their privacy while they are at Featherstone. Because the island is still in the top 3% of clean air and water left on the planet. There is no poverty and, thus, no crime. The people are friendly and accommodating and the British ownership assures a stable government. 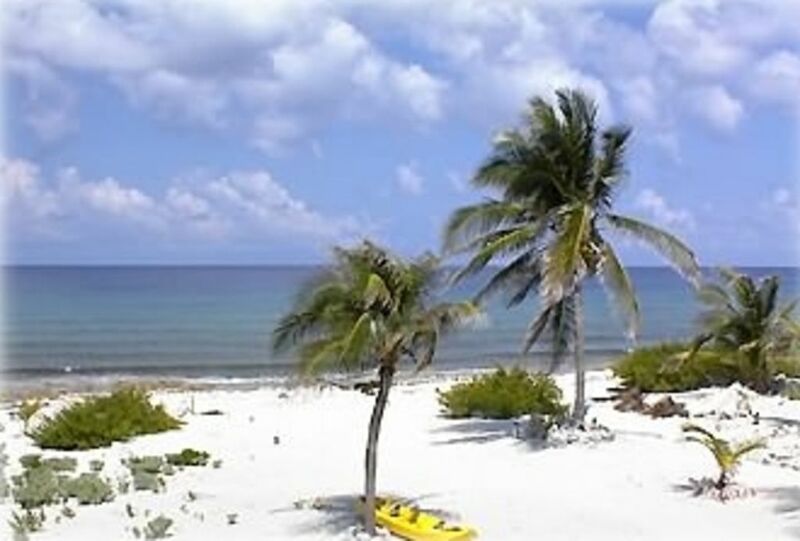 It is gorgeous beyond words with many unusual and outstanding features in addition to the Caribbean Sea and sky. Safety. Security. Every day a beautiful day. A 400 sq.ft. private porch facing the sea. Featherstone has the most beautiful private beach on the island with 2 gazebos strategically placed for maximum privacy and happy swinging in a hammock. Spectacular sea views from every room in the apartment. Total views of the sea.